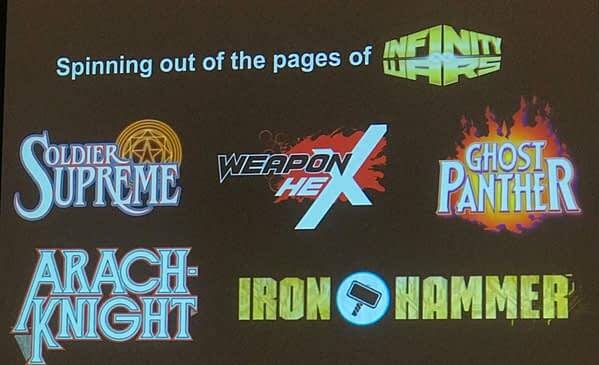 Remember the Infinity Warps? Smooshed together Marvel characters as Gamora used the Infinity Gauntlet to halve the universe of life – by smashing one up against the other? 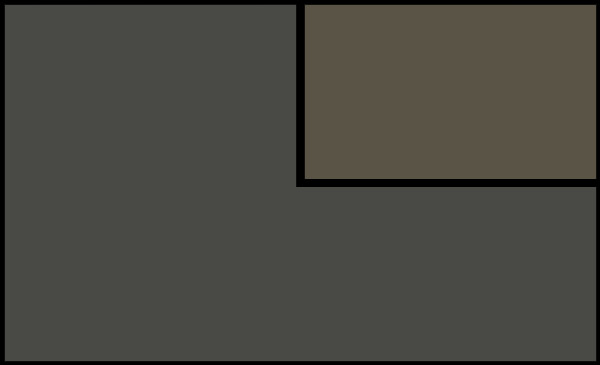 As the series ended, that reality, full of combined characters was preserved. And now, it seems, it is returning… with Secret Warps. Oh and it’s wrutten by the modern king of continuity, Al Ewing, with a 6-part six part story set across six annuals covering major events in Marvel history. 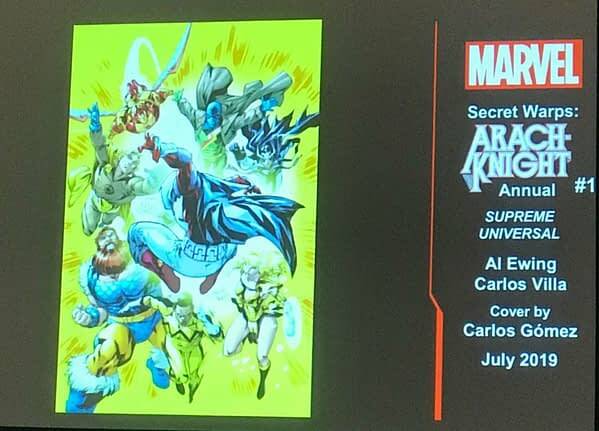 It begins in July with Secret Warps: Arach-Knight Annual #1 by Al Ewing and Carlos Villa. 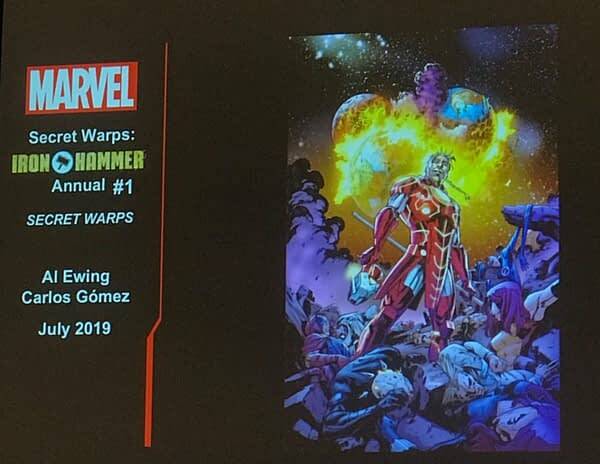 Then Secret Warps: Iron Hammer Annual #1 by Al Ewing and Carlos Gomez. 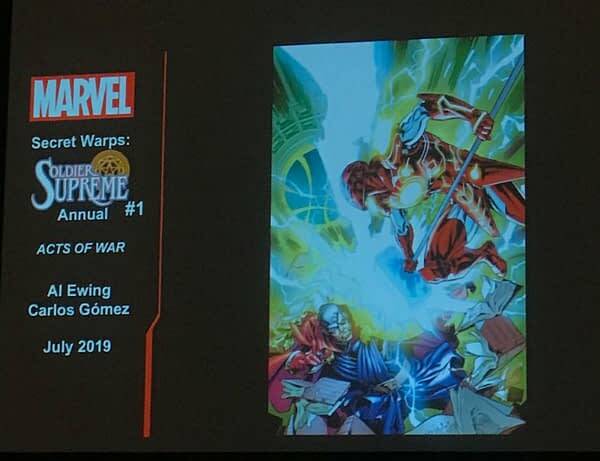 And Secret Warps: Soldier Supreme Annual #1 by Al Ewing and Carlos Gomez too. All in July.